Easter is approaching and where better than Ibiza to spend a few days on holiday with the family? Temperatures have inched back up, entire fields are in bloom, and the island is slowly regaining life. Bars and restaurants are back at it, too, and an endless array of options exist for the gastronomically inclined. How about discovering Ibiza in the springtime? The white isle maintains a total of seven direct connections to European destinations out of Spain. London, Paris, Rome, Amsterdam, Eindhoven, Milan and Geneva all have previsions to step up flights during Semana Santa to accommodate the surge in tourism. 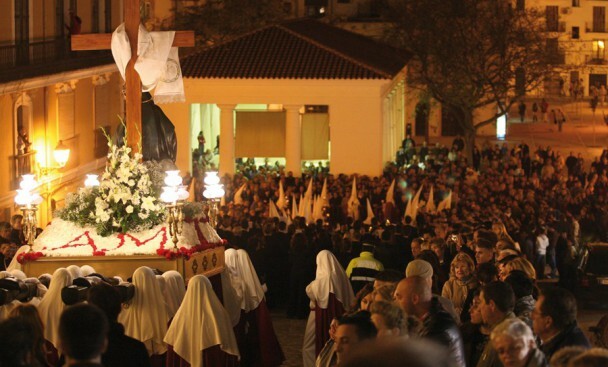 Palm Sunday marks the start of processions and religious festivities, most of which take place between the municipalities of Eivissa and Santa Eulària des Riu. The holiday is observed every day except Wednesday of the following week — each day marked by a different salida de paso, or ceremonial leaving and returning to churches. From 29 March to 1 April, the island hosts La Ruta de la Sal, Europe’s premier regatta, as it invites an ever-longer list of participants on some 200 boats to enjoy an array of nautical activities in a place of unmatched beauty. 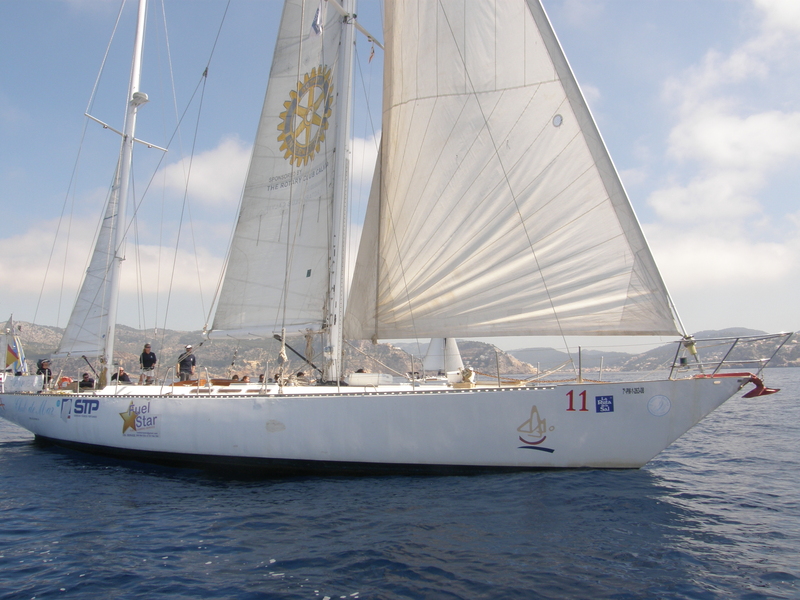 In 2018 the Mediterranean’s most popular cruise-ship regatta’s newest challenge, The Triple Salt Cup, is for crews willing to tackle the Ruta’s three component regattas —Barcelona, Denia and Mallorca— in under five years. 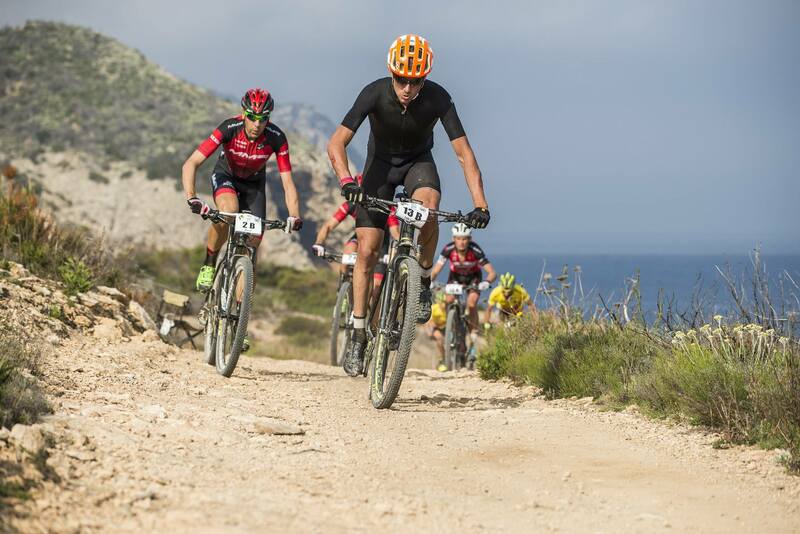 On 30 March, when 1,000 mountain bikers arrive for the 18th anniversary of one of the local sports calendar’s more firmly-entrenched Easter events, a vuelta, or “ride” round the island, it will be a milestone in terms of returning participants and big-name riders alike. Compared against similar trials, Ibiza’s Vuelta a Ibiza en Mountain Bike stands out. The full tour is spread across three days, three stages and nine different categories. With a pair or solo, riders will trace a roughly 195K path across thick forests and down spectacular descents. Gastronomy freaks will find Ibiza has its share of fun for foodies, too. A real Easter favourite is cuinat, a homestyle stew whose star ingredient, verdura, is a spring essential. That, combined with chard, dried spring baby garlic, a sweet pepper known as ñora, grass peas, peeled broad beans, spearmint, Spanish paprika and virgin olive oil serve as the basis a dish that Ibizan restauranteurs serve exclusively at Easter. For those with a sweet tooth, there is flaó. Though this spearmint-infused cheesecake variant was traditionally enjoyed only at Easter, luckily for us, it has become year-round staple. Last up, it’s the yearly gastronomic contest Pintxa Sant Antoni. In its tenth year, the competition includes nearly thirty Sant Antoni de Portmany restaurants, each offering drinks and tapas that are priced to move. The Pintxa happens every Thursday to March 29. Want the Ibiza experience but don’t want the crowds? There’s no better time than Easter. To complete a luxury holiday it’s possible to choose the room that best suits the needs of each case but also discover the different services we offer to enjoy these days off. It’s also possible to savour the culinary proposals in our restaurant, relax in our spa, or with a private yoga session or discover the island with our selection of excursions to make everything perfect.